In this step-by-step guide, I will show you exactly how to buy the ticket on a website that on average, will save you 20 EUR, but it can be even more! 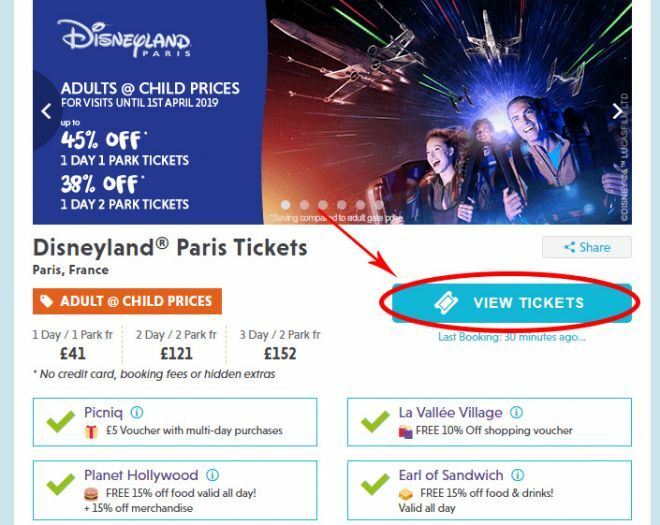 So that you know all the alternatives, I am going to describe 3 different ways to buy tickets to Disneyland, France including the one where you save at least 20 euros from the price on the official website. NOTE: I am only comparing the prices for 1 day 2 parks tickets for simplification reasons. In case you only have one day to visit Disneyland Paris, I strongly recommend you to buy the ticket for both parks in any way! 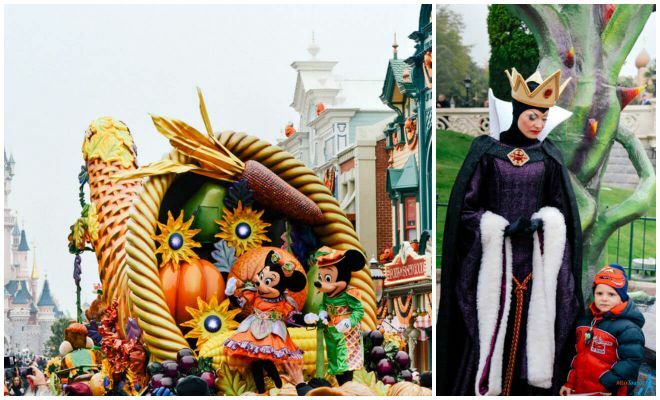 1) The first and the most obvious one is buying your Disneyland ticket at the gate. 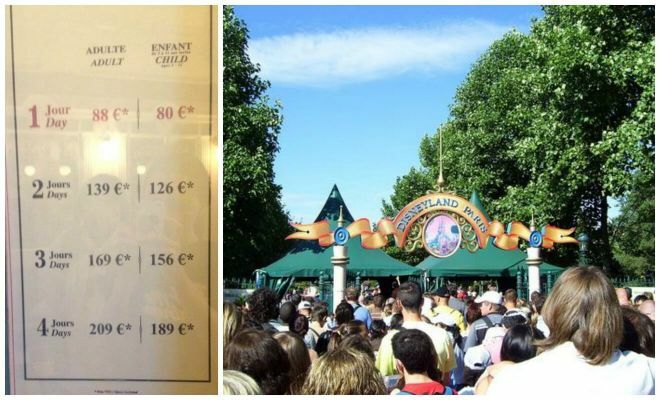 Currently, the price of such ticket is 104€ per person for 1 day, 2 parks. – Well, if you ask me, yes! And even if you can afford it, why not be a smart traveler and save about 20€ per ticket to Disneyland? Read on to see how! When I was there passing by the crowd, I felt pity for people queuing at the entrance ready to buy very overpriced tickets. Why would they do it? Lack of information I guess. Just a bit of surfing the internet (like my website, huh!) and you will be able to save around 20€ per person and at least 1 hour in the queue. As you might know, I hate queues, and I am quite efficient avoiding them. Read my all time popular post “6 places in Paris with the longest queues, and how to avoid them”, you will understand what I am talking about! Buying tickets on the official website. This option is very straight forward it can also be the cheapest sometimes. Everything is in English and the interface is quite intuitive. Enter your contact information, pay with your credit card, you will receive your ticket by email, hooray! That is it, just go directly to the gates with these tickets, no need to queue in the cash register! 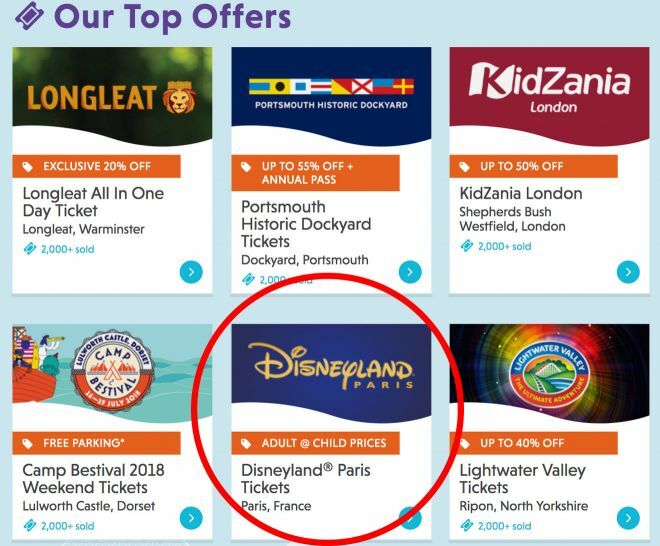 TIP: Check Disneyland Offers and Packages – sometimes Disneyland in Paris throws crazy promos that are even cheaper than on the website I am going to recommend below! Which type of ticket to choose – Mini, Magic or Supermagic? Now, what the hell is all that? Just give me my ticket! The MINI ticket is a ticket to Disneyland on working days (usually, the cheapest), MAGIC is for weekends and SUPERMAGIC is for major holidays like Christmas, Easter, Halloween (the most expensive). That means that if you have a SUPERMAGIC ticket, you can go anytime, also during a normal working day, but in order to save money, it is best you plan in advance more or less when you will be heading to Disneyland. Got it? Let me know in the comments if you have more questions! You do not have to know exactly when you will be going to Disneyland, which is very convenient, but you should have an idea whether it will be during the work week or a weekend. Picniq is a UK chain selling all kinds of tickets for many destinations and activities. You can buy tickets to almost everything through their website, including Disneyland. Moreover, they have won the Disneyland Paris partner awards for 2 years already! NOTE: Even though Picniq is a UK-based website, anyone can buy tickets from them with absolutely no problem. Disneyland Paris tickets can be bought regardless of the country you are currently in, you do not have to be in/from the United Kingdom. Do not worry, this website is absolutely official, I have bought my ticket to Disneyland through the site 3 times for myself and many more for my friends! Tickets are cheaper there sometimes, not all the times. It depends on the season and current promotions. I recommend checking both websites – the official Disneyland one and Picniq before buying your tickets. Compare and see which one is cheaper. NOTE: Please note that you have to print the tickets yourself before going and present them at the gate, you can’t show them on your phone (yet). One-day tickets have instant processing, but for the multi-day tickets you may have to wait for your e-mail ticket for 1 or 2 days in peak season, as there are many people buying from Picniq. Do not worry, your ticket will arrive but keep in mind to not buy it last minute! As you might have noticed, the prices shrink significantly – even if the official website is working with all the promos they have there! I will walk you through the whole procedure. Let’s say we chose the MINI ticket for 1 day. -> Choose 1 Day/1 parks or 1 Day/2 parks. As I said above, I recommend visiting both parks. The Disney Studio park is small, but it is SUPER cool, it has some amazing rides and entertainments! Note: As you can see, with this ticket you will get some nice discounts for merchandise and food. This is a very cool thing because you can save some cash on food (you will need to eat in any way as you will spend one full day in the park)! Note2: This ticket includes a ‘Fastpass’ and it says it will let you jump the queue. You should note that this is not the classical option where you go whenever you want and just enter without standing in the huge line. The Fastpass is a way of reserving certain times when you want to go to certain rides. After reserving your time slot, you will just go at the entrance of your ride at your fixed hour and enter with little to no wait. 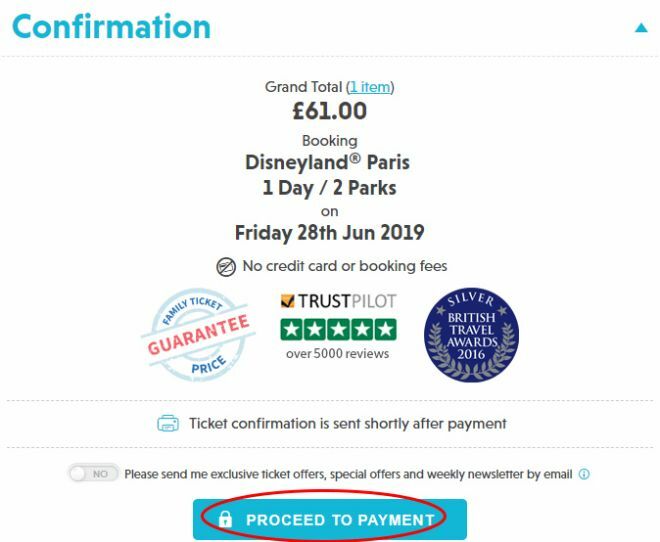 -> Select the date when you want to go to Disneyland (in this example I selected 28th of June 2019). Select the number of adult and child tickets you wish to buy. Your kid younger than 3 years old enters free of charge, 3 – 11 years old qualifies as a child ticket, your child of 12 or older needs an adult ticket. -> Now you can see the price and compare it with the official Disney website. At the time of this last update (February 2019), it would make more sense to buy it from Picniq, as the price is 61£, comparing to 64£ on the official website for the same date, but the prices can change any time. Double check again that the type of ticket you chose corresponds with the date you are planning to visit Disneyland. -> Complete the holder’s name for each ticket. -> That’s it, this is the last time you can check to see your tickets are correct. Afterward, the procedure is really simple – you need to pay with your card and then you will receive the tickets by e-mail. For the 1-day tickets the processing is instant, no waiting! If you are buying a multi-day ticket, in peak season you might have to wait for up to 48 hours for the processing. Do not worry, you will receive it! Afterward, you just need to print it before the visit. -> Congratz, you got your tickets! 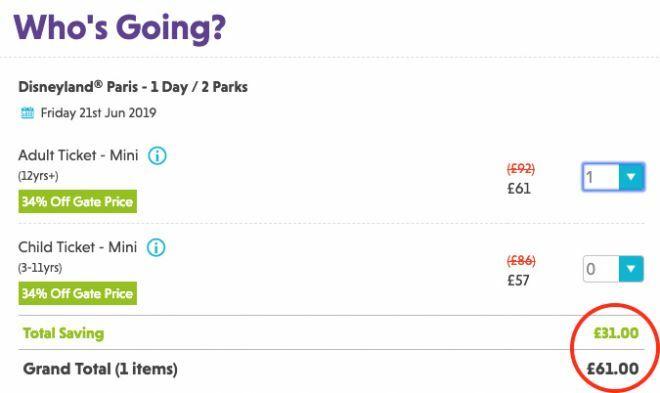 As I said, at the time of this update (February 2019), the Mini tickets for 1 day 2 parks are cheaper on Picniq – 61£ comparing to 64£ on the official website. At the times of previous updates, it was indeed possible to save as much as 20€ on your Disneyland tickets, but because of the pricing policies and current promotions, the situation changed a bit. I hope you will travel smart, my friends! Have a lot of fun in Disneyland! Got a good deal for Disneyland? Read which rides I recommend to take here! Now as we bought a good ticket for your Disneyland adventure, why not to stay in the area overnight? people who bought ticket access to the park for 2 days or more. I Have stayed in Dream Castle Hotel and can definitely recommend it! Dream Castle hotel is a 17th century chateau with decoration focused on the Three Musketeers theme. From the moment you enter you will feel yourself in the magical atmosphere. Everything evokes that feeling – a concierge dressed in a circus uniform, brightly colored horse sculptures, decoration of your room and all the other details. As it is a hotel for families, there was a bunk bed for kids in my room. The bunk bed is gently separated from the parents’ bed with a curtain. There is a gorgeous carousel for kids, a green setting around the hotel to play outdoor, plenty of space and settings to play indoors as well. There is a great show for kids every evening, even an illustrator that will color your kids in all possible colors! There are children menus for breakfast and dinners. You can send your little ones on an exciting scavenger hunt! A special surprise gift will wait for them at the end of the hunt after they stamp their personal passport given by the hotel. It will truly make your kids’ eyes sparkle! There is a beautiful running path around the hotel if you feel like doing some sports in the morning. If the weather is bad, there is a gym waiting for you indoors. Magic circus hotel offers variety of Spa services to relax after the day full of adventures. A bar with the selection of spirits and innovative cocktails is at your disposal as well. I especially liked L’Occitane body care products that are available to use in your bathroom. 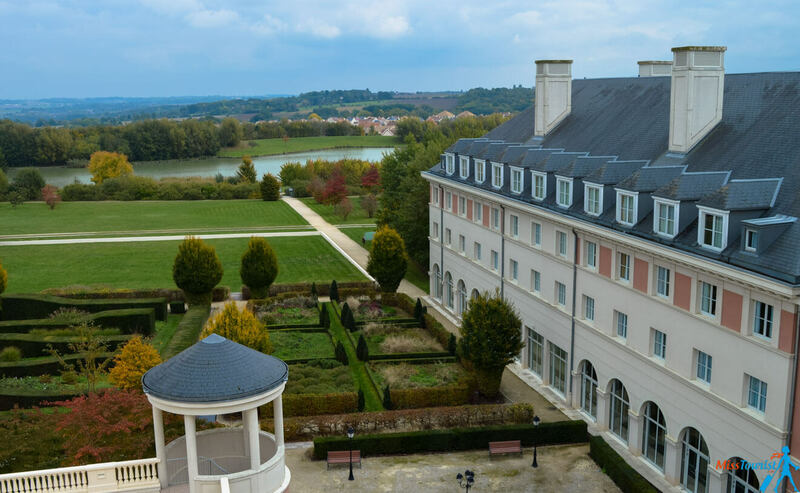 Car parking is provided at the hotel, a heated indoor swimming pool, fitness room, Free Wi-Fi, a free Shuttle bus to the Disney theme park and the TGV Station. Of course, you can buy your EuroDisney ticket from the front desk, no need to stay in the queue. If you want to save significantly and buy your ticket online, I explained how to do it above. Low season can be 100 eur per night (breakfast included) or 125 if you want to stay with up to 2 kids. 180 eur (200 EUR with kids) if you want to stay during Christmas. 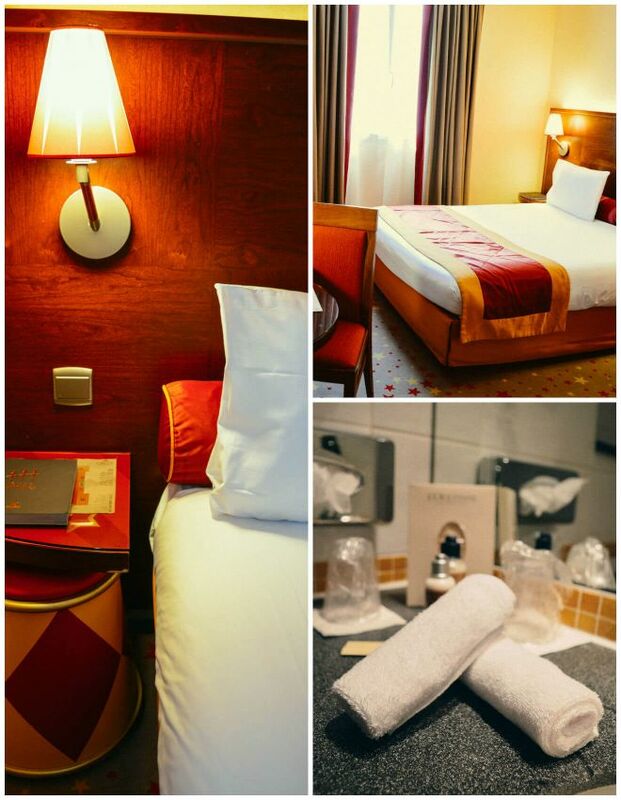 Book your stay with Dream Castle Hotel here! What to get with you at Disneyland? I want to thank you for taking the time reading this guide. I hope the information here will be useful for you! As usual, if you have any questions, do not hesitate to ask me in the comment section below! If you want to go to some other amusement park near Paris, check out Parc Asterix. I have been there and described my opinion if it is worth a visit here. I just wanted to find out from you, working days are generally Monday-Friday but I’m going in August, which is technically the month when most of Europe is on holiday. Would it still be okay if I bought a mini ticket if I was going on a Thursday or would I have to buy a magic ticket? Is there a site or somewhere I should check this as well? There is a calendar attached as a picture in this post, each day depends, so please check your exact days in the calendar. Thank you for the info. In some website they required the date of visit to Euro Disney. However they don’t ask the date of visit in the FNAC website. Does it means it is valid for anytime? Hey Deddy, I am glad it was useful! 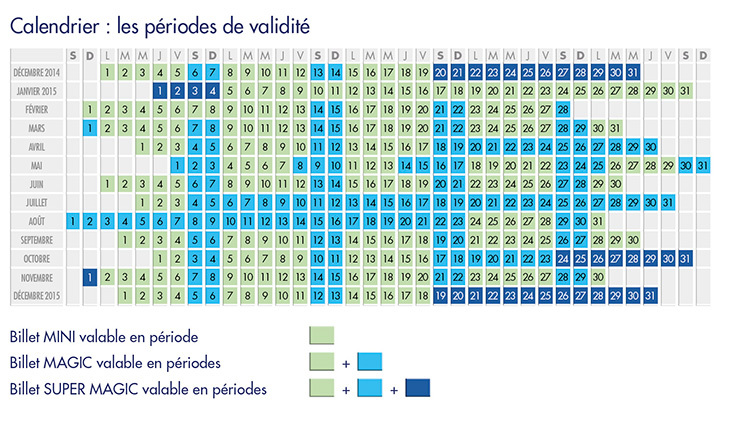 Yes, when you buy your ticket on FNAC website, you don’t have to choose a specific date, but pay attention to the type of ticket you are buying: MINI (the cheapest) will allow you to go there only on working days, MAGIC – all days except holidays, SUPER MAGIC – all days including Christmas, etc. 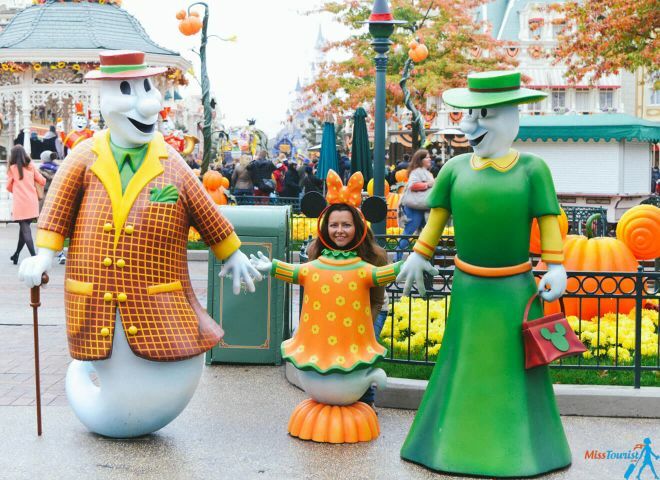 More information about the days you can find here http://www.fnactickets.com/static/uploads/fnacv2/commentaire/CALENDRIER-2015-DISNEYLAND.jpg. I bought the tickets on FNAC, but on the tickets there are only QR-codes (no barcodes)- is it right? My QR-code-application doesn’t read this codes- what’s wrong? can’t tell you why the code is not readable by your device, but the ticket you got on the website will be definitely readable by the Disneyland staff on the gate, no worries, I have done it many times! What does “I-JOUR, 2-PARCS BILLT MAGIC”? 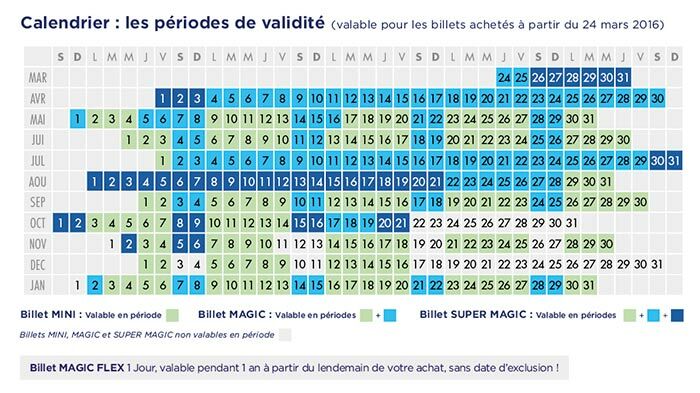 1 Jour means 1 day , Magic is the type of ticket that allows you to go to the park only on specific dates. Check the calendar, it says there clearly. Parc d’attraction from 2015/6/26 to 2015/9/30. MAGIC Summer ticket : this ticket will allow you to enjoy the Disney Magic this summer , on the date of your choice until 30 September 2015! The translation is correct – you can only use this kind of ticket till 30th of September. So, if you will go 22nd of October, it will not be valid. Try either buying the same ticket a bit later (maybe they changed the pricing policy, I am not sure) or buy a Super magic ticket, it will allow you to go any day you want. Hi Yulia! I was just on the FNAC website and noticed tickets for 1 day/2 parks are 59 Euro! What a great deal. However, if I am printing the ticket at home, how will this affect the Fastpass process? Also, can I exchange the printout for a hard ticket at guest services as a memento? Thanks! As far as I know, you can alway by the Fast track pass when you are already inside the park. Concerning your second question – i do not know if you can change it to a hard ticket. Maybe at the Custumer service if you specially ask for it. Othervise the printed copy is enough. We are going to Disneyland Paris the last week of October, which is high season due to Halloween and would like to purchase tickets prior to arrival in Paris to avoid the ticket lines. Is there a better price for purchasing at least 5 days in advance on FNAC? Also they have Ticketmaster in France how does the pricing compare to FNAC? Only have time for one day/park to allow for other places on the Museum Pass. I am not sure about the Ticketmaster, never tried that one. Usually the rpice on Fnac website is the best you can get, but check the official website, it might be that they have some crazy promos on your dates too. Hi! unfortunately the FNAC website isn’t accepting neither my mum’s or my credit cards. Do you have any idea if I can just head out to a FNAC store there in Paris (there are many) and buy the tickets for the same price as on the website? though i have never done it myself, i am quite sure you can do it in person! I will be visiting Disney Paris in January for 2 days (18/19 Jan) Will it be alright if I purchase the 1 jour 1 parc individually for each day? instead of buying the 2 jour 2 parc as it looks more expensive. Thanks! Never did it, but if it is cheaper and it makes sense for you – yes, you can totally do it then! Hi, trying to purchase tickets through the FNAC website but it doesn’t have the option for printing at home – it only allows tickets to be sent to your home or to pick up at a FNAC store. as we are already in France and on a ski holiday I dont think we wil be able to make it to pick up the tickets. Any idea why it doesn’t give the option to Print at home? (its a special for 47 EUR on a mini ticket…) Merci! Hi Ketherine! I am not sure why the Print at home option does not work, lets hope it is a temporary problem. If you are already in France you can stop by any FNAC stores and just buy it from the cash register there for the same price. (There is usually a special cash register that is called “Billetterie”. Thanks for this information! I am planning a summer trip with wife and two kids – the savings add up! Hi Elaine, check what family promotions they have at the moment, that might be the best option for you! Also, because you are not visiting in sequential days, it might be a good idea to buy 1 ticket for one park and the second day for the second park. Check what is better money-wise for you! i’m visiting Paris with my wife from April 27 to May 3 2016.
according to the plan they have in their site http://www.fnactickets.com/static/uploads/fnacv2/commentaire/CALENDRIER-DISNEYLAND-2016.jpg i must buy 2 Magic tickets ? i do not know yet exctactly which day i will go to Disneyland. I’ts a little mess with light blue colour and green colour tickets. 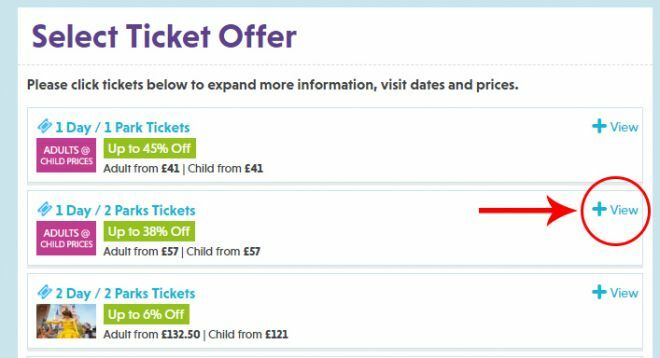 if you decide to go any day between 27th of April to 1st of May, you can buy Magic tickets for you and your wife. If you want to visit during the holiday (2,3,4 May) you should buy Super Magic ticket. While booking tickets on FNAC website it asks for account. Do i need to create an account before buying tickets on FNAC website? Hi Prateek, yes, you will need to register on the website in order to buy the ticket. I recommend trying your other email if there is a problem with your first one for some reason. I will be in Paris on 25th of May 2016. I have half a day to spare. I will have my kid with me as well. Is it worth to give Disneyland a try for half a day? im planing to arrive with my son on September ,do you know if i buy the tickets direct from the store not on website i get the same price? are you sure its enough to print it and to enter to the park and not to replace them in the store? if i want to go to dysney for 2 days so you recommend to buy two tickets for each person? i didnt saw good deal for 2 days its much more expensive. Answering your question – yes, you can buy the ticket from FNAC store as well, the price should generally be the same as on their website (but there might be exceptions, errors in the systems etc), but generally i think it is safe to assume it is the same price. Yes, if buying separate is cheaper for your dates , go for that one, it makes no difference! Thank you so much! You saved me a lot of money! Worked like a charm. When I go to the FNAC website I’m seeing the price for the 1-Day 1-Park mini ticket as 47 EU which is the same price listed on Disney’s website. Am I missing a step when trying to find discounted tickets? Thanks! Sometimes it can happen that the price is the same, especially when Disney holds their own promos. When i try to register on FNAC site there is a row that needs Fnac subscriber number. Where shoud i get this number ? Thank you Yulia! My ticket buying process went smoothly, and I’m also saving a lot of money. Thank you so much! I’m looking for tickets to but for 2 days in January and really struggling with the webpage FNAC as it doesn’t translate to English. Please could you help? You can always use google translator. Not Ideal, but it helps in navigating on the site. I’m on the fnac website wanting to buy tickets for my family of 5 there’s an special offer on 3 day 2 parks but I’m concerned as it doesn’t state if it’s a mini,magic or super magic. A bit confused as to what I’m actually buying. If you could help I’d really appreciate it . Let me try to help you :). Once you select a ticket you will see a “calendar” on the same page. Click it and you will see all the dates with colors. There’s a color legend telling you on which days which type of ticket you are buying. I also recommend you to check the official site for promotions. Especially if you plan to also book a hotel near Disneyland, they will have a ton of packages for you to choose. Hi Yulia. I’m going to Disneyland París on march 20 and 21. Week Days, consecutive days, party of 3.. I can see that there s cheapper to buy two separate orders of special mini tickets, than the option of two days two parks on consecutive multi days. Is it allowed to go to the Parks buying special mini tickets for two days separately, instead of multi days? I would like to buy two orders of mini and use them on consecutive days. 47 euros per day. Thanks. Also – try changing the currency/country at the Disney official website. I’m in the US and coming to visit. The official website listed 2 MAGIC 1-day two park tickets at $180 USD. Ticketmaster was 156 Euro = $166 USD. But switching the country on the official website to the United Kingdom, the tickets were only 120 GBP = $150 USD. awesome tip, thank a lot! Thanks so much Maui, i am so happy it was useful for you guys! Yes, correct, just double check in the calendar in the post that the dates you want to go are green (mini). But as far as I am aware, August almost doesnt have a Mini ticket (only 4 days at the end of the month) as it is the most popular months. So, if you want to visit anywhere between 1st to 27th, you should get a MAGIC ticket. The also have some holidays right in the middle of the month, if you visit then, you have to get a SUPER MAGIC ticket (just see above in the calendar). Yes, when you printed the tixs, you just go straight to the gates, they will scan it from there, no need to stay in any line! P.S. Also, as you go in the most popular month (and it is your honeymoon), I suggest you read my other post 6 places in Paris with the longest queues and how to avoid them. I checked MAGIC tickets which work in July. 78/71 Euro. sorry to hear that, Sergey! in this case I would buy it through the official site. There’s a website called “Miss Tourists” that offers tickets any cheaper. Curious if you’ve heard of this and if its ligit? GetYourGuide is a totally legit company,no worries, one of the biggest in Europe. you see my logo on the top of the site because I have partnered with them to recommend you the best tours. Hi! I just purchased 4 tickets for me and my sisters from Ticketmaster.fr and noticed that all 4 tickets were under my name, but with different barcodes. Will my companions be able to use the tickets despite having my name in them? Also, do we need to have them exchanged for real tickets at the gate or can we get in just with the printed copies? In my opinion, it should be fine, they dont check the names on the gate, just scan your ticket, thats it. But to be safe, just in case, I would write to Ticketmaster too. As long as there is a barcode that they can scan, it makes no difference for them what kind of ticket that it. not sure what you mean? You want to buy tickets 3-4 hours in advance but not online? You can do so in the cash register of the particular attraction you want to visit. Hello, i will be going to disneyland in february during a week day with a couple of friends and we are thinking of getting a fast pass ticket. Do you think it is worth it and how expensive is it? Definitely worth it, it is such a different experience when you dont need to wait in the line for 2 hours for each attraction. You have been amazing… I love reading your post. Question: Can you only buy a fastpass at Disneyland itself? I am about to buy tickets for the 29th May 2019 and I’m wondering if I need to purchase a fastpass? They are sooo expensive on the Disneyland site.. The basic fast pass is free for everyone that has a ticket to Disneyland and it lets you “skip the line” to the 6 most famous rides in the park. Please note that the fast pass doesn’t allow you to jump the existing line whenever you want, but you will have to return to that specific attraction during a certain timeframe indicated on a screen and then you can go in directly without standing in line anymore. There are some new and special fast passes that you can buy from their website (they’re called the Super and Ultimate Fastpass) that give you access (once or unlimited times) and without any specific return time slot to certain rides in the park. You can buy this type of fast pass if you feel it is worth it and you don’t want to spend any time waiting in line. Hope this helps and have lots of fun at Disneyland! Thanks, such a BIG help! 27 December is Christmas and New Years holiday, you need to buy Super Magic. I also recommend buying a fast pass (at the park) because it will probably be very crowded! Thank you so much you were sooooo helpful! I found a website named ‘picniq’ and at this prices are surprisingly very low. can anyone tell me whether I can trust this or not? I was trying to follow your tricks and book from Ticketmaster but I realised that I don’t have a clue! We are here in Paris for three weeks and I want to take my father and my 5 years old son but I was so confused! I found cheaper tickets by 40€ off on the app called google trips it takes you directly to a website called musment.com and you can pay safely with PayPal as well! I have to pay only 160€! For the two parks! And there is another website which is picniq.uk it’s cheap and it gives you 15£ meal and a fast pass of course! Could you check which one should I go for and what’s the best time to go.. It’s our first time there, I would be so great if you could help! I’m sorry I forgot to mention attractiontix.com.uk as well! Thanks for the tips.It saved us `20-30 Euros. Hi! Thank you for this but im not sure if i got the mini,magic right..with us, we’re in paris on aug.10-13 and planning to go on aug.11 coz thats my daughter’s bday..based from my understanding, i should get the magic ticket right? Unfortunately, its not available to purchase yet..coz the date with price is only until june..
Hi, we have just bought 5 x magic flex tickets through ticketmaster.fr. During the process it didn’t ask for names and allowed us to buy 5 tickets at once. We have received the e-tickets but they all have the same name on them. Do you know if we will have any issues in swapping these for our yearly magic flex passes if they all have the same name on? I know that they do not check names when they scan the qr codes at the gate, but you might want to write to ticketmaster to double check that just in case, I am sure there will be no issues changing the names. Hi! Thank you for your helpful posts. When I look on the Disney site for tickets for August I don’t see this as an option. All the calendars stop at June. Do I need to wait a couple months and come back or am I looking in the wrong place? good note, thanks! I also searched and I can find the same thing. My suggestion is that it is too early indeed, but you could try writing direcly to Disneyland, hopefully the will be able to give you more concrete information. Hi Yulia. Thank you for your previous reply. A 1 day 2 park adult Magic ticket on Disney’s website is currently 22 Euros more than the price at the time you wrote your article. From your experience, do you think in a couple months this price would go down to what it was back in October? The current price on Picniq is 70 Euros and I wasn’t sure if I could do better by waiting. Thanks for your help! I think the price increase is due to the fact that I made my research quite some time ago, not because of the seasonal or promotional changes. In my experience, prices almost never go down especially for such a popular attraction as Disneyland, so I would not wait (but I might be wrong of course). 1. In case we book tickets online, due to inclement weather if we are unable to attend, can the tickets be used on other days ? 2. What are the MUST-DO rides which we can cover first and then work our way around other rides ? 3. Online on ticketmaster, it was showing me Billetcollector tickets for 4.90 Euros – any idea whats that ? 4. Finally is it possible to cover the MUST do RIDES in both parks in 1 day ? 1. Yes, you can attend the park in any of the Mini days (see calendar), you do not actually specify an exact day when you buy a ticket. 2. I have a blog post about Awesome Disneyland rides. Even if it is old, I think it is still quite good. There are newer rides built like Ratatouile, so be sure to add that to the list as well! 3. Not sure what is that, maybe a fee to collect the ticket? 4. Yes, it is totally possible to cover the must-does. If you are willing to buy an Fast Pass, I am sure you can cover almost everything in the park! Do you know what this hotel is like? As we arrive late we will probably want to eat somewhere, do you have any recommendations? Breakfast is included but again we will need to eat lunch and dinner, any recommendations? How far is the airport to the hotel, should i hire a car or is there an easy way to get to the hotel? Do you know if the hotel offers a shuttle to the park? I have not yet bought any tickets, where best to buy tickets from and are you aware of any deals, i was thinking 2 parks for 2 days which would be the Saturday & Sunday. I see from above you recommend the fast track tickets, are these purchased separately? We depart on Monday late afternoon, where would be best to visit and eat on Monday? 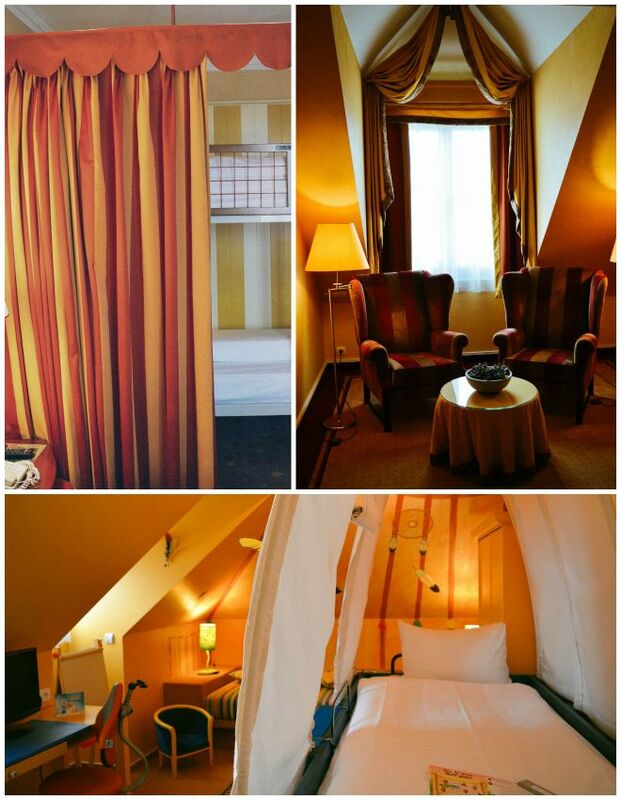 if you are staying in Magic Circus Hotel, you can see the full review with pictures above, that is were I stayed. It is pretty nice and very kids’friendly! There are a couple of restaurants in the hotel, so you won’t have problems with that. There are also many restaurants at the exit of Disneyland if you want to have a dinner with your family after the park. There are plenty of food options inside the park for when you get hungry in the middle of the day. The transportation depends on which airport you are coming from, but there is a train from Paris, that can take you to the entrance to the park. You can take a free shuttle bus from there to the hotel. (and yes, there is a shuttle bus from the hotel to the park). Yes, because you re going to visit during the weekend, I stronly advise to get a Fast Pass (in case your budget allows of course), you can only buy it when you entered the park, there is a kiosk on the right (or just ask the staff). I just wanted to know. I would like to prenotate this April 2018 to get a euro Disney ticket for June like on the 29th. Is that possibel? 1 or 2 months before? Does the price change? Or is it fixed. I would like to go there during weekdays. Thank you very much! the price is fixed and you can buy the tixs 2 months in advance, but you will need to decide on the ticket type (MINI, MAGIC or SUPERMAGIC). As you will visit in the weekday, it might be a MINI one (the cheapest one), check the calendar on the website or inside my post. We are planning for Disneyland Paris trip and planning to spend complete Saturday morning till evening. Could you please recommend best option in terms of tickets for myself, my wife and 2 yrs old kid (3 members) ? Thanks for the info. However, I have a question for the billing details. 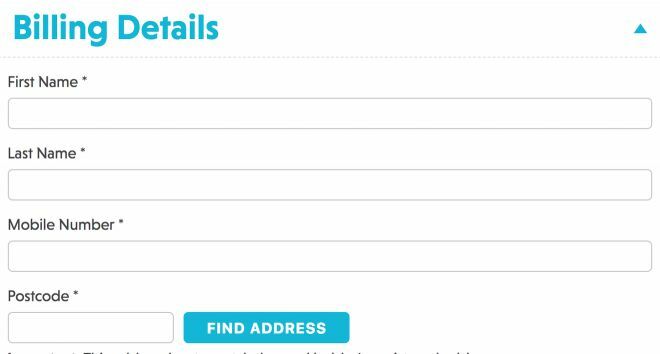 Does it matter if I fill a wrong postcode because I am coming from other countries? Thank you so much for this detailed article on tickets to disney. We are extremely happy to have found it, and get some majour discounts. We are a big family, and want to do 4 days in the park. 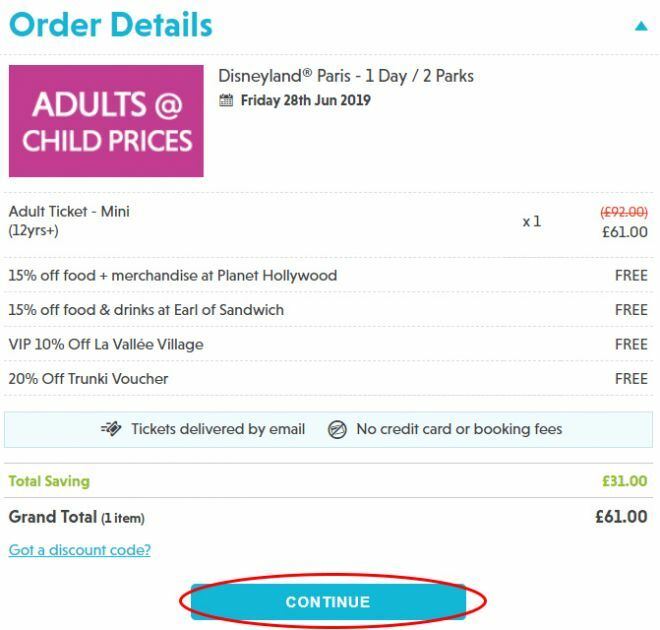 My question is, on the Picniq site, when choosing for a 4 day pass, though it says it’s valid for a year, and must be used within 7 days of first visit, it still asks for a calendar date! Does that mean we have to start our visit on that date that we specify or is it just so they can have a time frame of the 1 year validity of the tickets? Hope my question makes sense, and thanks again. Hi Rossana, I am happy help! Hope that helps, have an amazing holiday! It makes perfect sense now . Thank you for providing this place filled with invaluable information. I hope they will process it asap, they usually do! As for printing, I dont think you need to do it, just show the barcode on your phone at the entrance. I called them and they said it can be 48 hours or even more in peak seasons!! And u cannot show merely a barcode on ur phone/ tablet. They said u have to have a paper print out. I think u should add this information to ur blog post sbout there being no immediate tickets to save people a lot of trouble and last minute stress as ur page says that they are sent immediately and this is not true. Is the ticket from picniq valid only on the day you picked? I would say so, but I am not 100% sure, please contact them directly to double check that. My daughter and I planning to go to Disneyland in November for her 5th birthday. We are going to be there for 2 days. What is the best to buy: 2 days 2park tickets OR 1 day 1 park and visit each park on a separate day? How realistic is to explore 2 parks at the same day? You could do that if you wish, but the thing with the parks is that the attractions there are not divided proportionally. The main one need like 1,5 days to discover everything and half a day for the small one will be enough in my opinion. The smaller one also closes much earlier. I’d suggest comparing the prices – how much would you save if you d go with separate tickets and evaluate how much do you want to see in each park as well. For example, the bigger park has a lot of great thrill rides which I am not sure you would go to a lot if you are traveling with a 5 year old. have an amazing time in Disneyland! I see that there is currently an adult at child ticket price sale valid “for visits until October 10th”. Do you know if this means that I can only get the deal if I’m planning on visiting before October 10th or if I can purchase the deal before the 10th but still use the tickets for a year after purchase? On the Disney site they give options to buy either full price or sale price tickets but on piqniq I only see the option of the sale tickets, but am worried they won’t be valid when we go at the end of October. We are right at the end of the Adults @ Child prices special offer visiting period, however the important thing is the visit date selected in the calendar and not the date that you purchase. If anyone selects they are going to visit Disney up until the 10th October, they will be buying a special offer ticket (however the ticket will only be valid until the 10th Oct). Any visiting date selected after the 10th of October will be buying a standard ticket for that day (mini, magic or super magic) that will be valid for a year from date of purchase. I hope this helps, if this isn’t clear please be sure to let me know! Hi thanks for this, you have helped me alot. Quick question, I can see that the price difference for 1 day 1 park and 2 days 2 parks is very different. Could I not just buy the 1 day 1 park ticket twice, visiting 1 park on one day and then the other park the day after?? Hi Yulia! This is Kim from the UAE. Sorry for the ailly question but are the Disneyland tickets being sold at the Picniq website are only for UK resident? Or other nationalities can avail of it also? Thank you. I will be in Paris on 14th November and already booking tickets in advance. in fact you are not the first person who ask me this question – yes, anyone can buy a ticket from that website, your nationality or the country where you live absolutely does not matter! Picniq mentioned the ticket include fastpass. Is this only for 1 ride or I can choose many rides as I want? Actually, this is a bit misleading because every ticket will offer Fastpass option (the one where you book your time slot for a particular ride and come back during that time). Not all the rides are equipped with the special machines where you can get the time slot tickets from, but the most popular ones are. Picniq does not include the actual FastPass using which you can skip the line to any ride (those are bought inside the park right after you enter). Your post on Disney is very useful and given in great detail.Thanks for the information.We are planning to disneyland Paris on December 24th and 25th(two days) and it is on Christmas Eve. I see on Official Disney site, some Dinner Show on Dec 24th night at 20:00. Will the entrance tickets of 2 days/2 parks bought on Picniq site be eligible for Dinner Show on Dec 24th night as well? I am sorry, I am not aware of these details, please ask them directly! Hi yulia, I’m living in south Africa, I need to visit Disney land with my 2 kids this Easter holiday, should I first buy the tickets or apply first for the France visa??? really thank you thank you .. you solve my big issue. This post so helpful, I am planning to visit Disney Paris in April 2019 & thinking to purchase 1 day 2 park Mini ticket. Just want to know is this ticket includes all the shows and parade? And what is Super & Ultimate FASTPASS? Guess it is something additional to park ticket. Yes, it includes all the shows and the parade of course. There are fastpass macnihes in the park that let you book a time slot and come back later with almost no line. These ones are free and they are available for the most popular and crowded rides. There is one more fast pass (maybe that is the one you mean), you can buy it inside the park and it lets you skip all the lines, it is pretty awesome, but not really cheap (and it is not included in the price of the ticket, no). Hi. 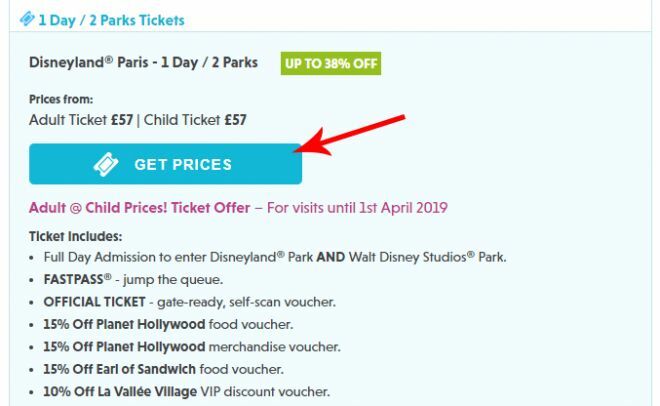 Am thinking of taking my family to Disney Paris in November this year for 2 nights , I have looked at prices of tickets and I noticed that if you buy 2 day 2 park it’s more expensive than buying 2 lots of 1 day 1park tickets ?? If I do this on line how do I go about it ? I see the prices are currently better for 1 day 2 parks than for 2 days 2 parks because those have a bigger discount now. The offers change very often so it really depends on the offer that is running now. You can find the step-by-step instructions for buying the tickets online from the Disneyland website or Picniq website in this article, it is very easy. Thanks for all this info. I’ve bought the tickets now and can’t wait to get there. Your instructions are easy to follow and you have a really good manner. I have found today better prices on 365TicketsGlobal than on the Disney’s web site and Picqnic. For example 3 day Ticket 2 parks for Adult it is euro 200,50 and child euro 185,50. Is this ok, what do you think? The price usually depends on your chosen dates and season and the offers each website currently runs, but I think the deal you found is good! Hi, Can you share link from where I can download Printable Disneyland/Walt disney Maps. As the one you have provided in your blog seems old one. Also in one page it is tooo small to view. Thanks in advance. You can download the printable version of the Disneyland map here.